Over the weekend I had the honor of having coffee in Jerusalem with Israeli Deputy Foreign Minister Danny Ayalon and his lovely wife, Anne. We discussed the Iranian nuclear threat, the U.S.-Israel relationship, the global effort to delegitimize Israel, and the Israeli government's desire to build stronger and deeper alliances with evangelical Christians in the U.S. and around the world. One of Ayalon's concerns is February 5th. That's the date the U.N. Secretary General is set to release an update on the Goldstone Commission Report. The Israelis will submit a report to the Security Council on January 29th explaining the steps Israel has taken to improve security in and around Gaza and even compensate some Palestinians whose property was unfairly damaged during Operation Cast Lead. But the expectation in Jerusalem is that the new report will be another harsh attack on the Jewish State. If that's the case, the Netanyahu government will be hoping evangelicals around the world will speak out against the report and show their solidarity with Israel. February will be critical for another reason. France takes over chairing the Security Council. That seems the best time, therefore, to press hard for crippling economic sanctions against Iran. The Obama administration is gearing up for a big push for sanctions since its diplomatic efforts towards Tehran have been a disaster. The question, of course, is whether Russia and China will agree to any sanctions, much less ones of such an aggressive nature that Iran's economy and government would be severely impacted. Personally, I'm not holding my breath. But I would note that if some form of sanctions are passed, it would likely preclude Israel from taking military action in 2010. Rather, Jerusalem would need to wait and see if the sanctions had any effect. The problem is that if the sanctions are imposed but don't work, Iran will gain much needed time towards building nuclear weapons and bringing the region that much closer to a Holocaust. 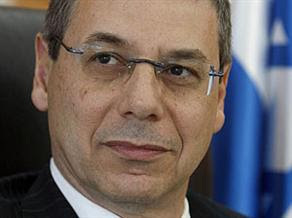 MK Danny Ayalon served as the Israeli Ambassador to the U.S. during the Bush administration. That's where we met. He and his wife are real heroes in defending the Jewish people and state and in understanding the strategic importance of building strong ties between Jews and Christians. Let's be praying for the Lord to bless their work and their family.